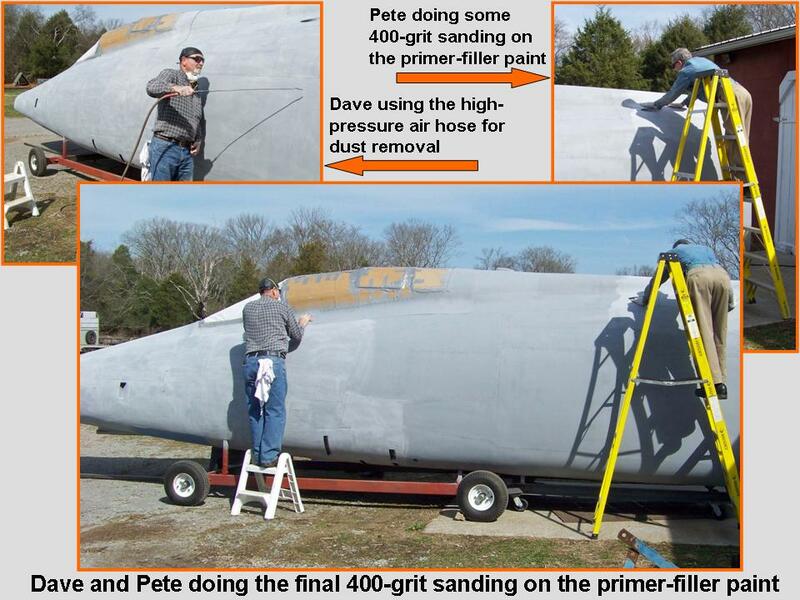 Fuselage, Part 10, documents the work done on the F-100D fuselage segment to make it ready for display in my F-100 "museum." 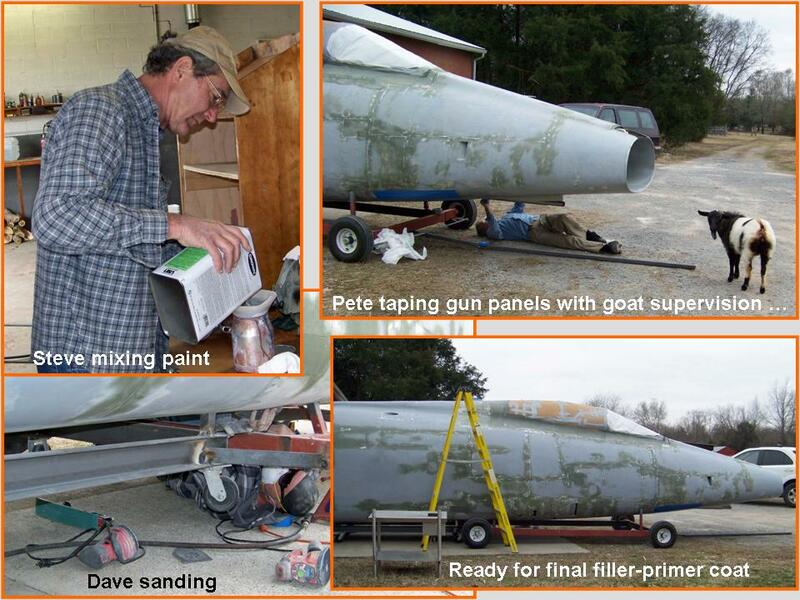 Much of the remaining work centered on the final paint job. 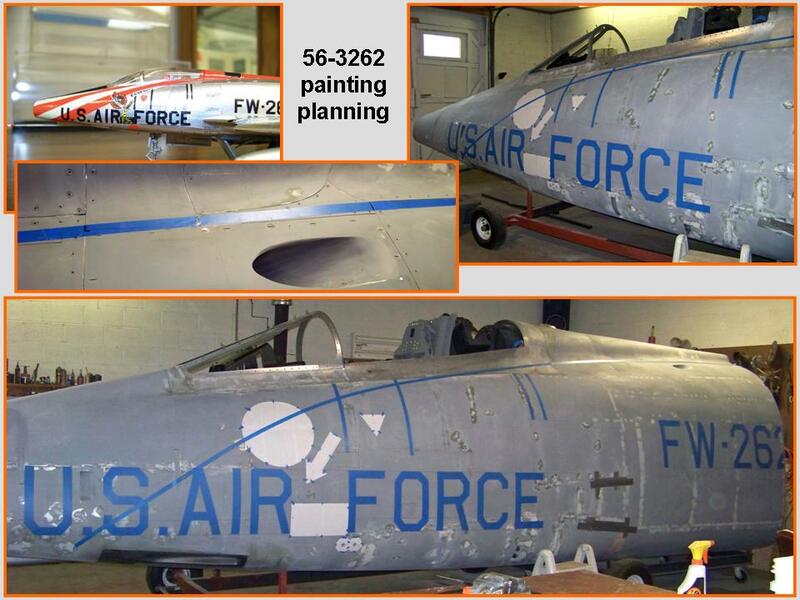 That paint job required a LOT of incredibly time-consuming planning ... not to mention the investment of time required to implement those plans. 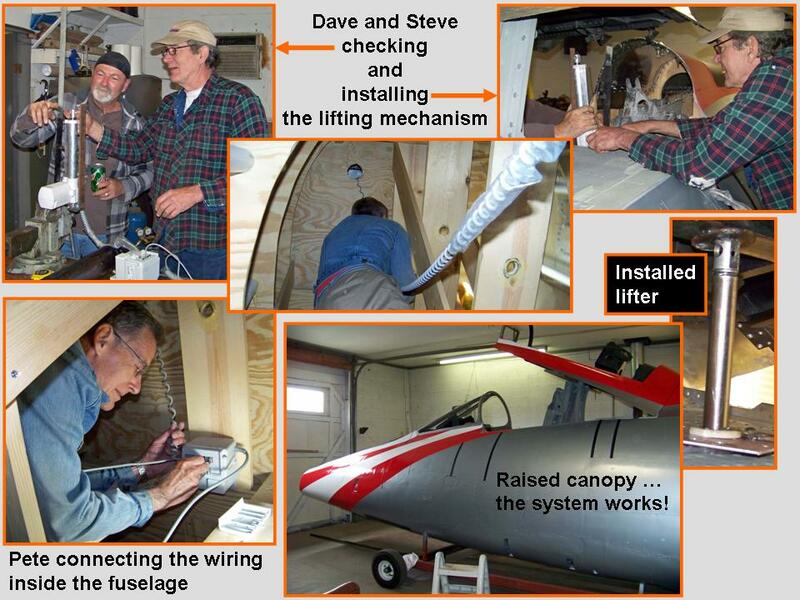 Figure 1, cell 02 illustrates all the work that goes into planning the many fuselage templates. I started with a Powerpoint slide to do all the lay-out work. This slide was then saved as a .jpg file to let me insert the picture into this web page. After I had posted Figure 1, cell 01, several visitors emailed messages about the apparent error in the number "2" format. 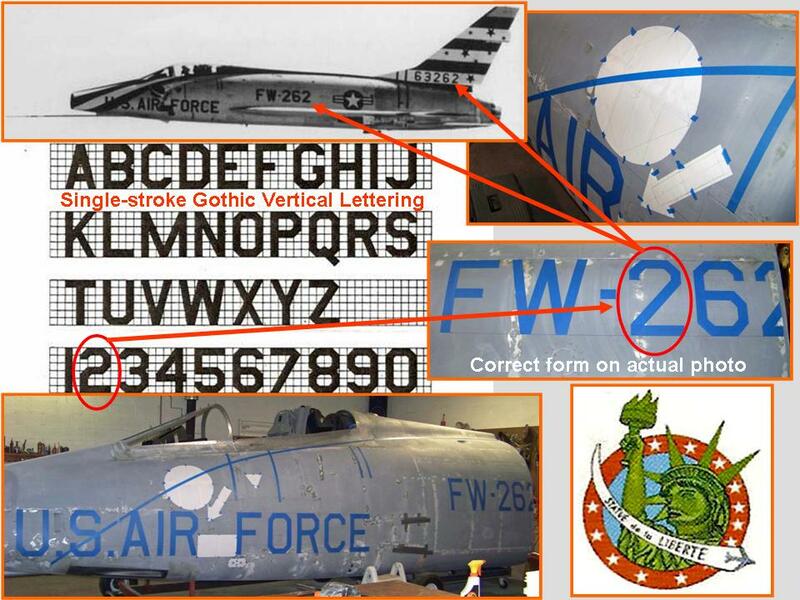 (The official Air Force lettering specification shows a format different from the one I taped.) I used the actual format that shows up in the photos of this aircraft. Figure 1, cell 03 shows that my taped "2" format matches the "2" in the photo of 56-3262. 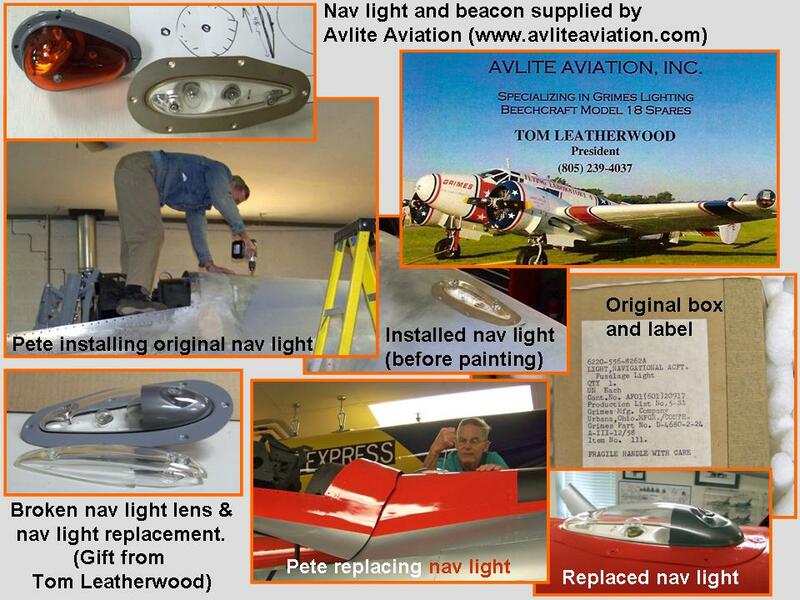 In short, the planned paint job on my "model" matches that of the real aircraft. 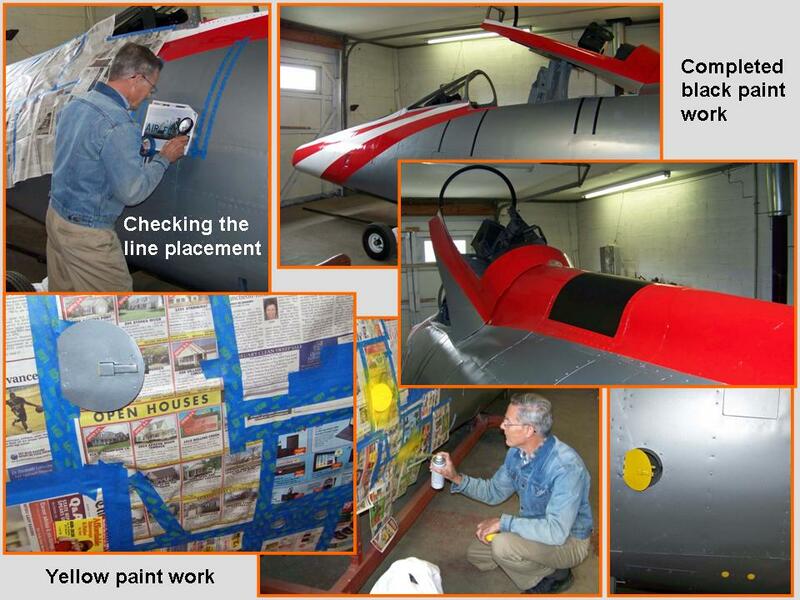 It's truly amazing how much time it takes to tape a design for a paint job. 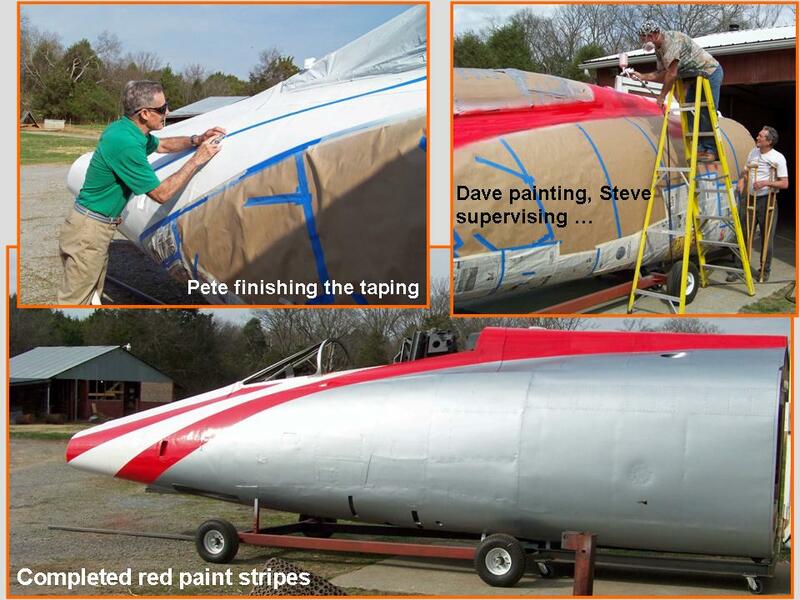 I had anticipated that I could complete the taping to delineate the red portions of the paint scheme in just a few hours. 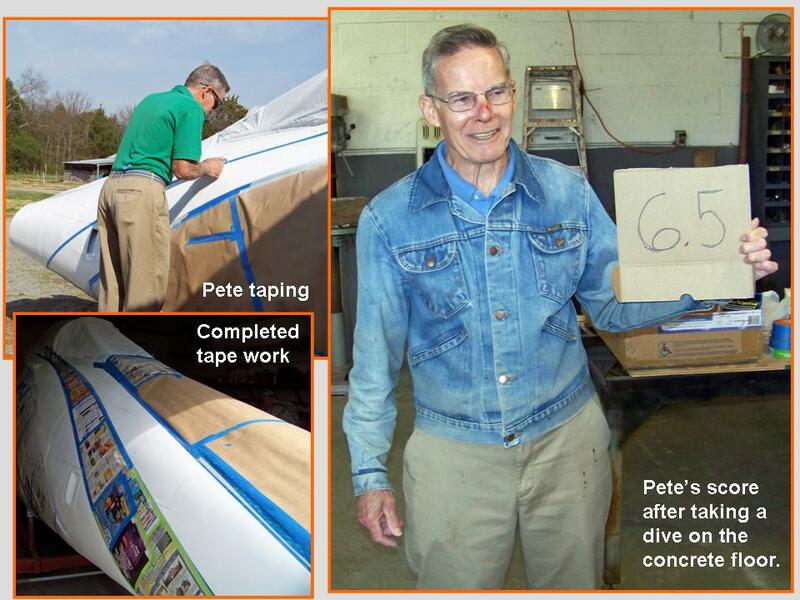 Instead, I spent well over 11 hours, spread across three days, to get the precise tape placement that I wanted. (And that does not include the hours spent looking at pictures and making multiple measurements.) And after the tape was properly applied, it still required additional hours to tape the paper over the areas that did not need red paint. 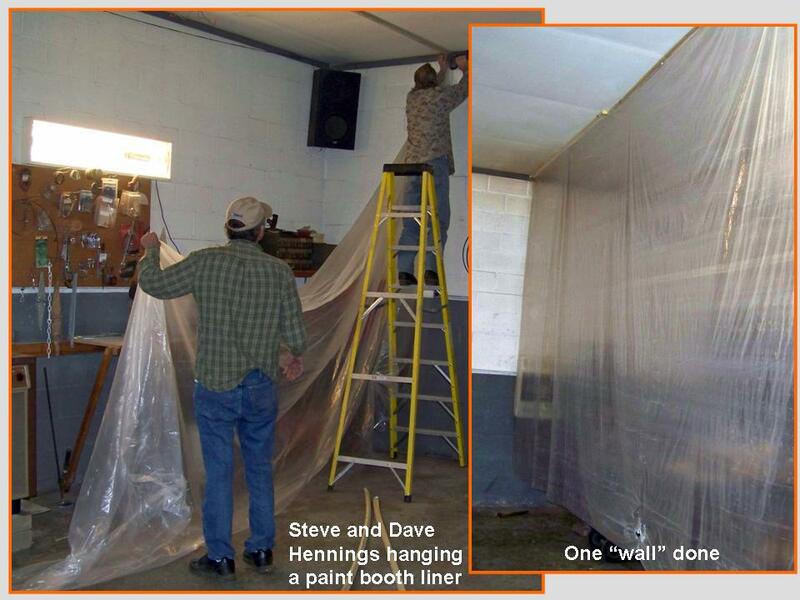 (Fortunately, Dave and Steve managed to get the "papering" done, which was another roadblock on the way to the red paint work.) 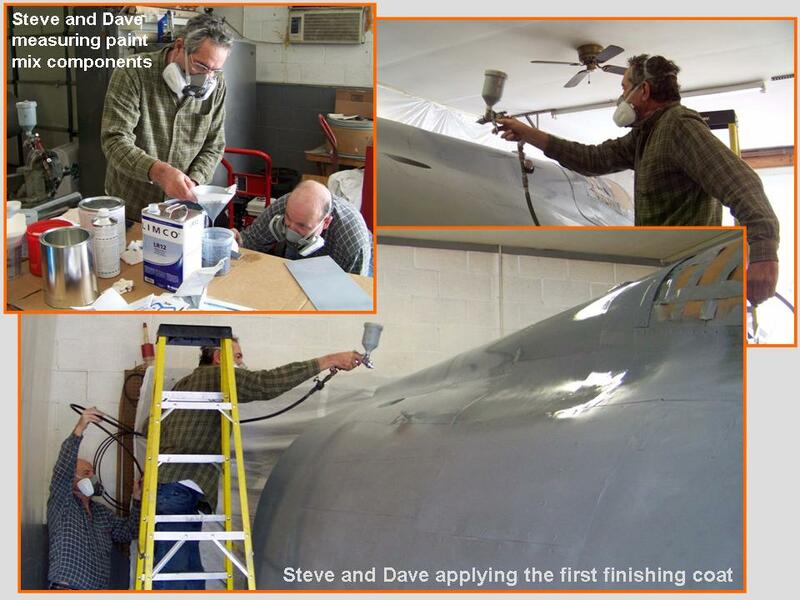 Finally, all the preparations were complete ... and then Dave and Steve mixed the red paint with the reducer and hardener to get the proper paint composition and consistency. The composite picture in Figure 5, cell 01, documents the process and the results. In the meantime, I continued working on the badge and letter templates at home. Sketching the outlines of the Statue of Liberty head and arm was something I could manage ... but getting the shadows and dress folds right would take a real artist. Fortunately, I married such an artist 49+ years ago. Anne honed her talents at the Royal Academy of Fine Arts in the Hague, Netherlands, in the 1950s -- and she perfected her superb skills during the decades that followed. She can do it all ... whether it involves painting or making furniture. During the 1970s and 80s, she learned how to make jewelry ... and she has taken many university courses since to enhance her skills. (The sketches she makes of proposed designs are works of art in themselves.) 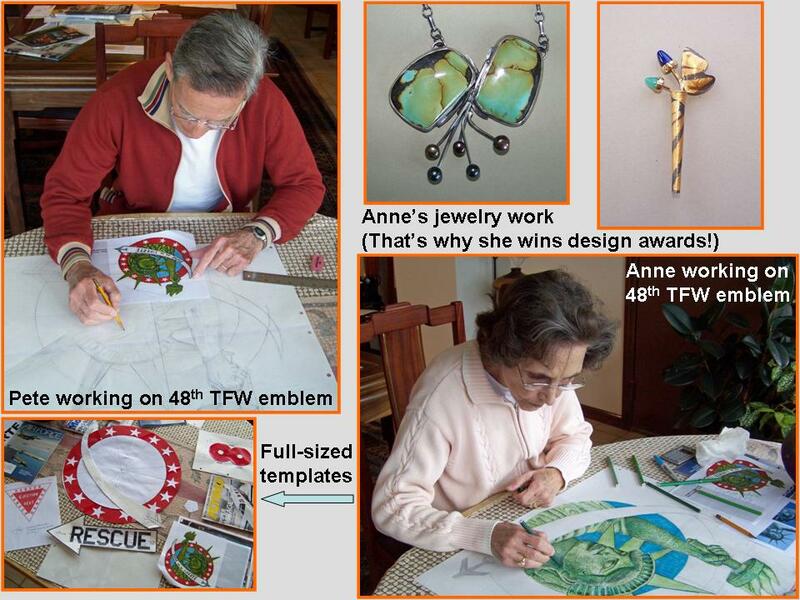 Figure 5, cell 02, shows Anne at work ... and it showcases just two of her jewelry pieces. 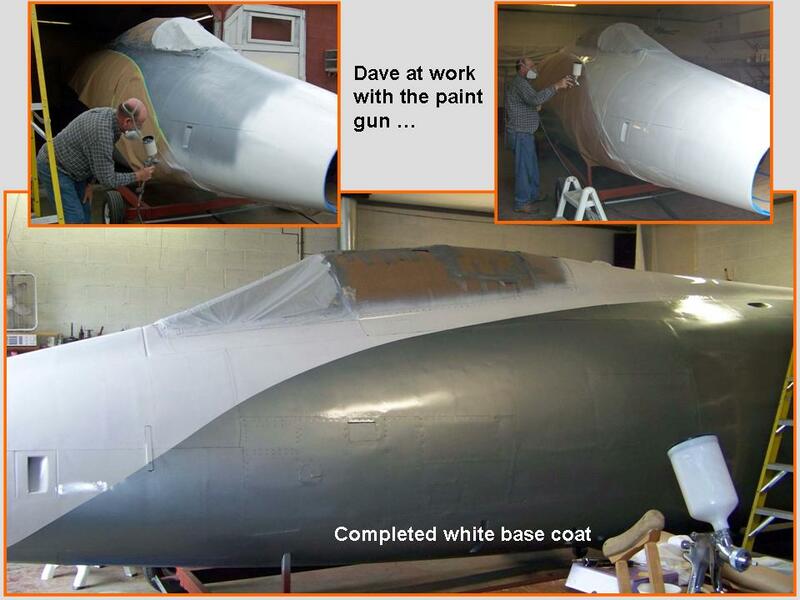 Figure 5, cell 03, documents the final black and yellow paint work on the fuselage segment. I spent a lot of time looking at detailed photographs to make sure that the placement of the black lines -- and the black anti-glare panel -- would be correct. 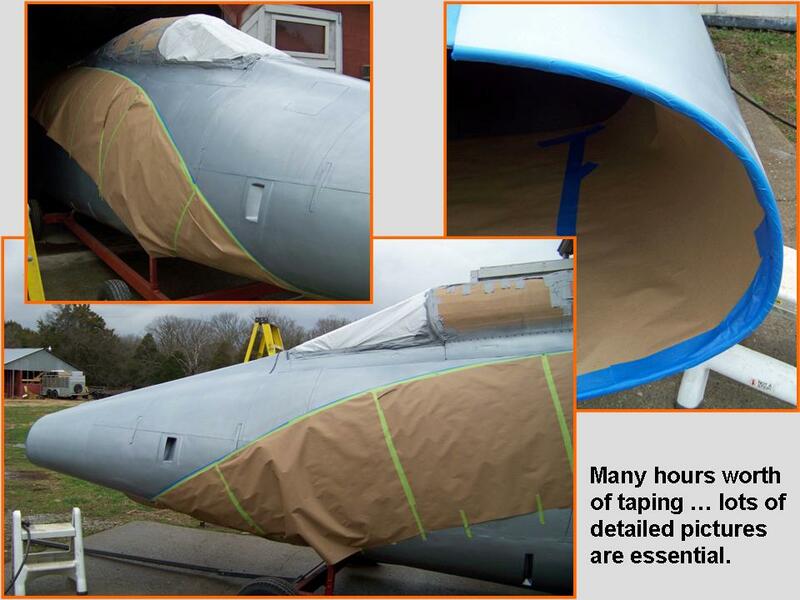 Because the panels were all traced from an original F-100D fuselage, rivets and screws provided perfect "markers." Figure 6, cell 01, documents additional template work. 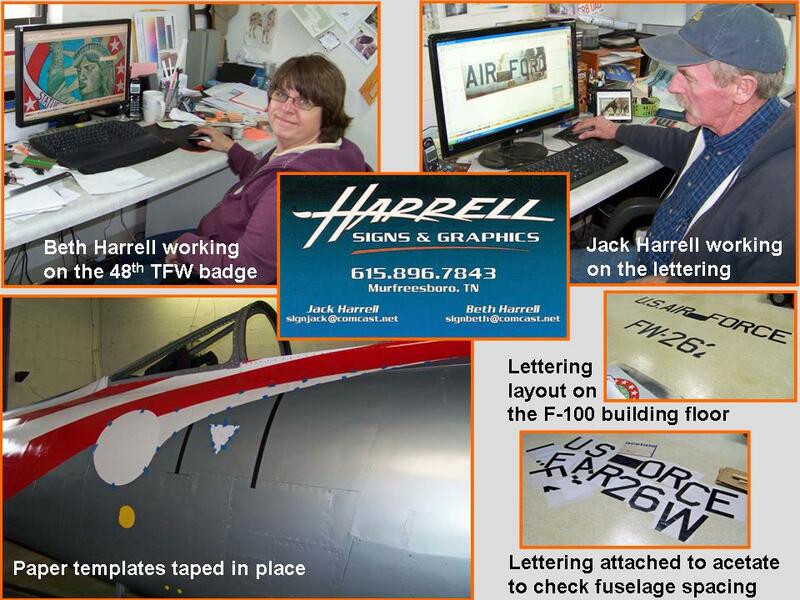 The pictures in the lower right corner shows the completed collection of paper lettering I cut and painted, as well as each letter's attachment to clear acetate. (I used the acetate sheets so that I could tape the letters in place to ensure their proper placement later.) The picture in the lower left corner shows the paper templates that I made to ensure the correct placement of the 48th TFW badge and the "streamer" that will display Col. Tolliver's name. 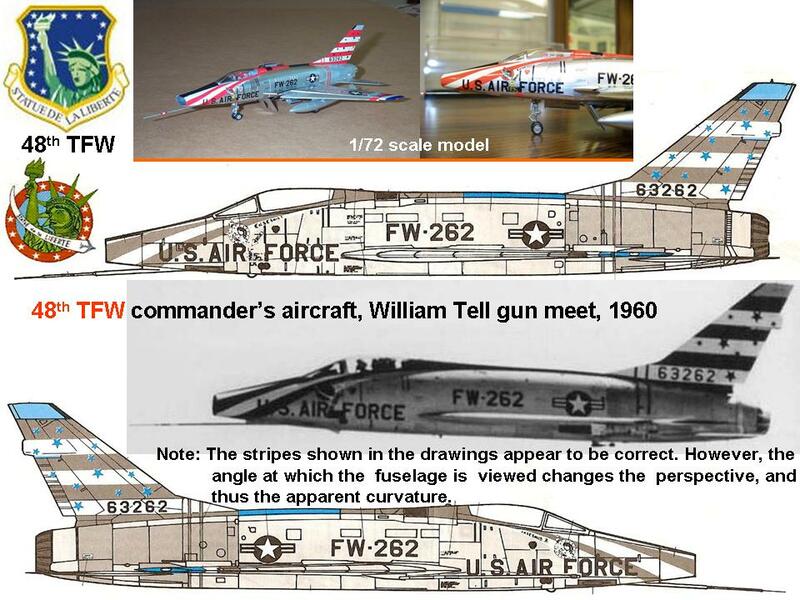 At this point in the project, the F-100 fuselage segment was essentially complete. Yes, there was a lot more work to be done ... for example, the windscreen components and the canopy "glass" still had to be installed. Not to mention that numerous instrument panel components still had to be put in place. 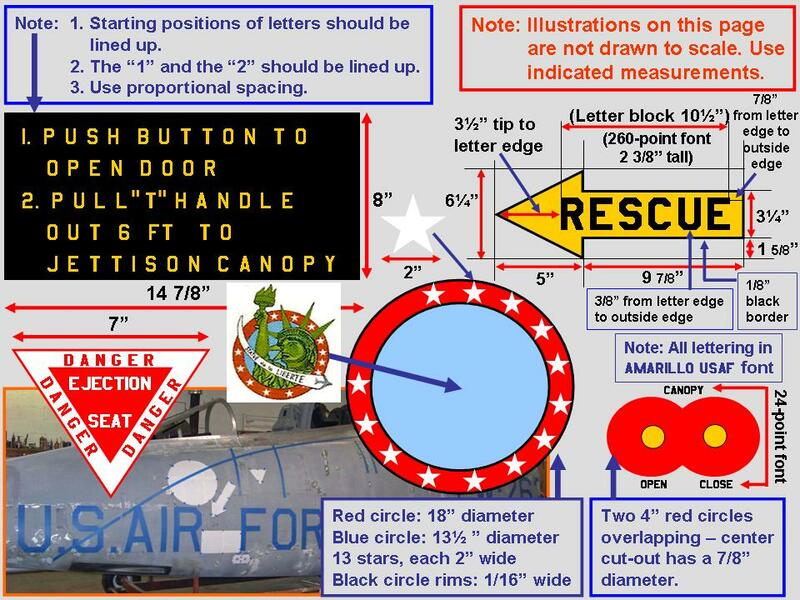 Finally, all the lettering and the 48th TFW badge still had to be applied to the fuselage segment. But those tasks could be completed in the F-100 building -- my little museum! -- located across the driveway from my house. 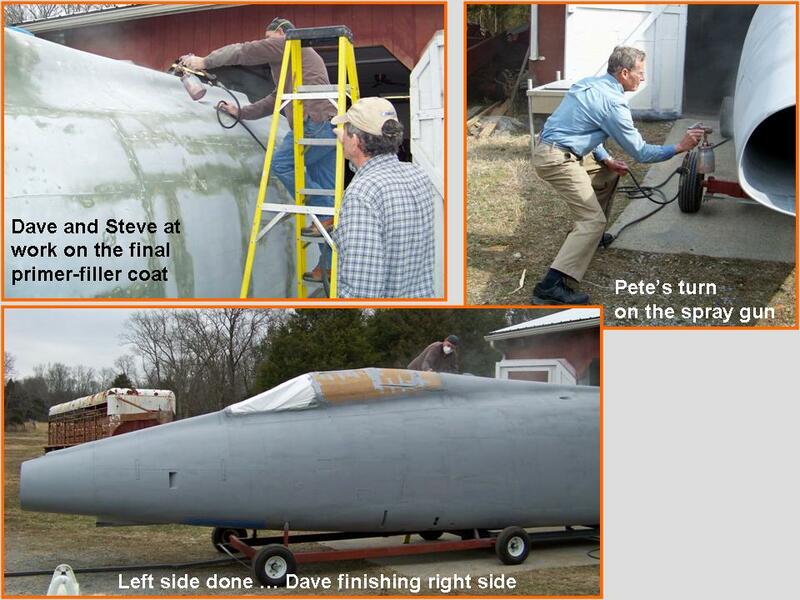 Besides, Steve needed his building back ... Fuselage, Part 11 documents how the fuselage segment was transported ... and it will show some of the "cosmetic" work that remained to be done. Check it out!